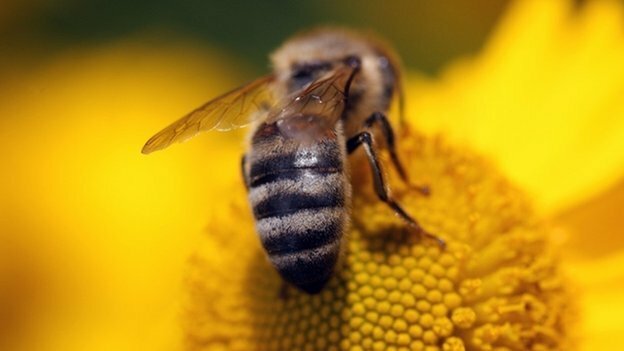 Honeybees and other pollinating insects have been in decline for decades. Image: BBC News. Spend 15 minutes researching global pollinator decline and the ensuing economic impact, and I think you’ll agree the Red States and Blue States are all facing a staggering economic tsunami if we don’t take a tip from the UK, fast. So, dig: Inspiring move by the British government in the BBC News today. Thanks, in no small part to the efforts of the good people at Friends of The Earth and an organization called BUGLIFE, the UK has passed a $900 million dollar, 10 year strategy to increase pollinator habitat in the UK. Interestingly, Europe is way ahead of the US on this issue, and is taking big strides to help, that’s right, bugs, knowing that pollinators are responsible for $207 billion in agriculture, world-wide, annually. That’s something our Republican majority, those protectors of the heartland, should see as a real throwdown. Let’s get ‘er done, boys and girls!